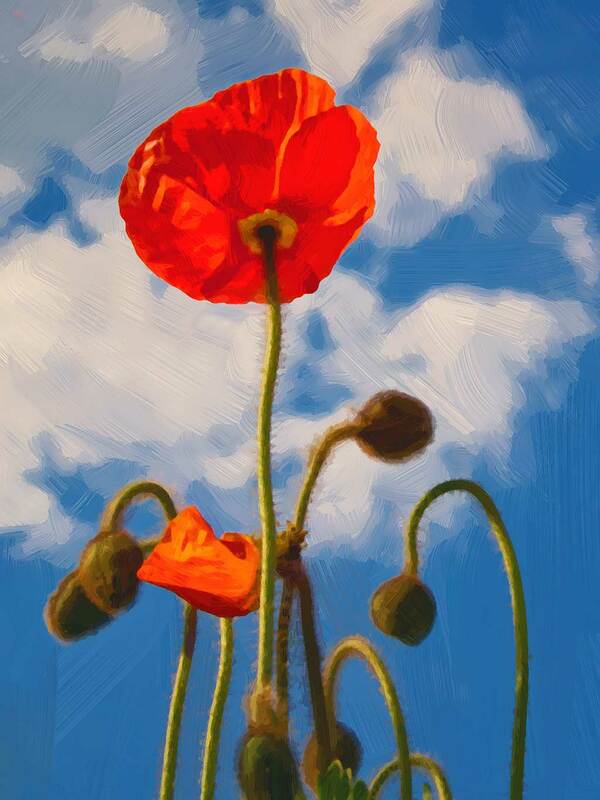 Red poppies symbolize consolation in dying, reassurance in death. 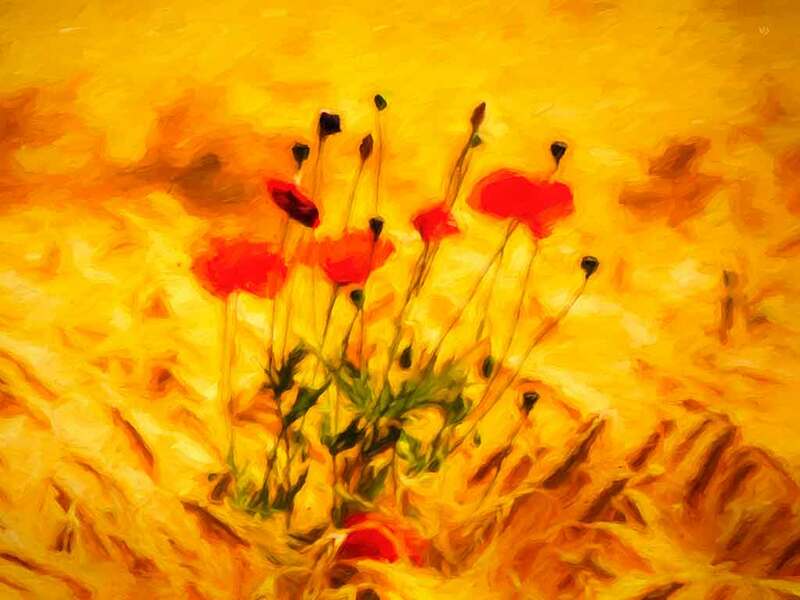 In Persian poetry red poppies are considered flowers of love, they are called eternal lovers. Poppy is a symbol of the people who died of love. Poppy is one of the oldest crop plants. Opium was cultivated in southern Europe from the Neolithic (from about 6000 BC). 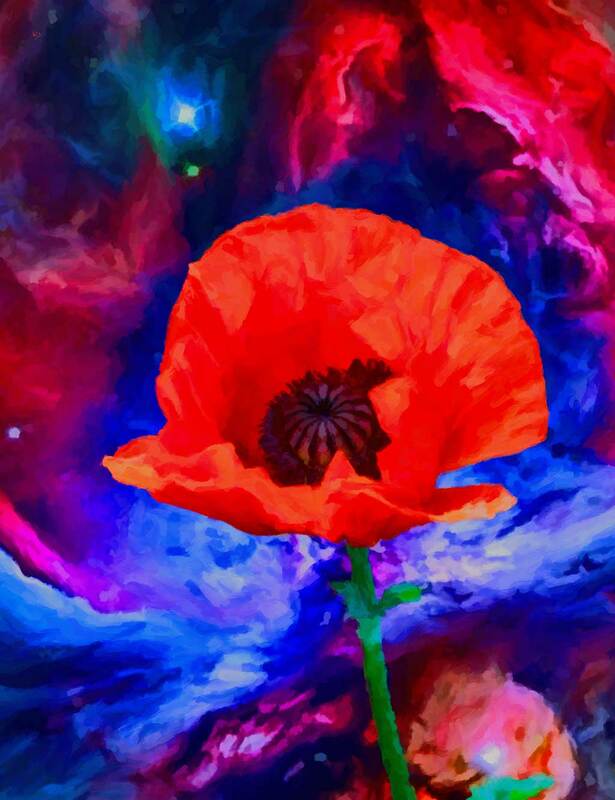 Poppies were found in ancient Sumerian artefacts around 4000 BC, where the production of pharmaceuticals from poppy seed was described in the journal. Poppy cultivation and the use of opium were known to the ancient Cretans. The ancient Greeks called opium poppy juice, from which it acquired a modern name for opium. Opium has been used to treat asthma, gastrointestinal diseases and blindness. In ancient Greece, there are archeological finds, showing that the Greeks used opium for ritual and medical purposes. The capsule of the poppy was a symbol of Morpheus, the god of dreams, Nyx, the goddess of the night, and Thanatos, the god of death. In the Roman Empire opium was a common medicine of wealthy people. In the remnants of the imperial palace of 214, 17 tons of opium were calculated. In Cyprus, in the Bronze Age were mass-produced bottles that had the shape of an opium capsule. The Egyptians imported opium from Cyprus, later they had plantations of poppies in the Nile valley and used them in acts of worship. Since 1100 Chinese have been using opium for medical purposes. The First and Second Opium Wars between China, the British Empire and France took place between 1830 and 1860. The Chinese tried to stop the opium smuggled by Western businessmen into their country. Many contemporary writers, especially in the 19th century, wrote about the opium and its effects, particularly Thomas de Quincey in the Confessions of an English Opium-Eater. French romantic composer Hector Berlioz used opium for inspiration. He created Symphonie Fantastique, where a young artist overdoses opium and experiences visions of unfulfilled love. Early Christianity saw in sickness God's punishment and in the 4th century prohibited the use of opium as an analgesic. Charles the Great renewed the ban in 810. Opium was seen as Satan's activity. The extraordinary significance of the discovery of opium for humans is well understood. For the first time in medical healing, medical interventions have become bearable. Fancy live colors or dreamlike scenery? Poppy Flower Print can be your Friend.